That post covered the validation step, showing that both asset existence and standards conformity are required to be validated before moving forward. Today’s discussion will continue with the ownership and (un)impeachability verification steps. Registering an asset is like writing a contract–it is an agreement that provides one party (the asset holder) an attestation in exchange for details of identity, ownership and, often, a monetary fee. In this sense registration contains the same potential barriers to trust as a contract does, and establishing the ownership relation between an asset and a contracting party is thus one of (if not the most) fundamental of trust issues. 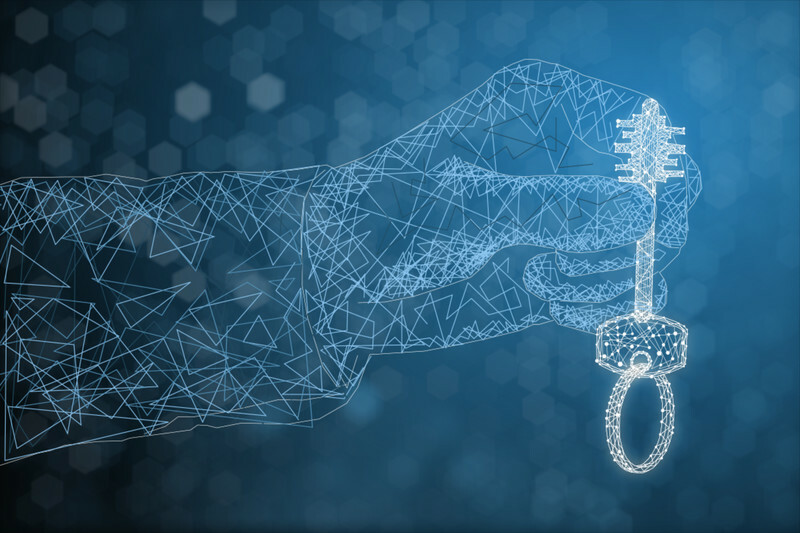 Ownership verification is essential to avoid exchange of fraudulent or stolen property, whether that property lies off-blockchain or is a digital asset (that may or may not be encoded on the blockchain). It is crucial, then, to connect the ownership of an asset with the identity of the owner, in a one-to-one fashion. If it’s possible to provide a digital representation of an individual’s identity–say by a tamper-proof representation of information usually provided on a passport, national identity document, driver’s license, etc.–then this information can just be written into blockchain itself. A registration request can then use this to directly verify the identity of the owner. But this provision is trust-based, and so there will have to be (at least initially) an entity external to the blockchain responsible for providing trust. In blockchain terminology these entities are called oracles and they can perform identity verification (at least initially) off-blockchain. An oracle’s sole purpose is to provide data to the blockchain–this data may be publicly available, such as asset prices or information on world events, or it may be private, such as bank account information or identity verification. Within the context of providing a proof of identity for the validation of asset ownership, note that what’s important is not the details of the identity itself, but rather a “Yes” or “No” assertion that the party is who they claim to be. How can a registry (or registrant, for that matter) guarantee that an oracle hasn’t been tampered with, or has made an error in verification? We’ll address this in a future post on oracle trust and screening. Supposing that an identity is safely verified, the ownership of an asset is normally more straightforward to confirm. With a tangible asset, numerous registries already exist which attach an identity to an asset as an owner (e.g. motor vehicle registries, real estate registries, etc. ), and these would act as primal authorities to provide such information to the blockchain registry (again via an oracle-like process, e.g. “Is Bob the owner of this car?”). With a digital asset, there is a role for the original registrar (such as the registrar of a domain name) to coordinate with a standardizing body (such as the domain name registry) to provide a single source of information attaching the current owner’s identity to the asset. This is a clear application of blockchain technology in its most straightforward use as a digital ledger, with the advantage being that the trail of ownership is easy for anyone to audit, and that each registration is immutable. When buying a house or other real estate, the buyer has to perform (usually through a third party intermediary, such as a notary) a “title search”. This is a search over the entire history (provenance) of the property and makes sure that there are no outstanding claims on the property from anyone else. Such claims would include e.g. outstanding loans that used the property as collateral, liens, extant taxes owed, etc. Claims on property are problematic because they call into question the legitimacy of the registrant to claim registration, even if the property (or more generally any tangible asset) was already validated for existence and had its ownership verified. For digital assets, an equivalent procedure must be used to make sure that the asset is not claimed by anyone else, or has been used as part of a settlement elsewhere and hence has been (explicitly or implicitly) already registered with another party. If there is an overarching authority with national or globe scope who can provide that single source of trust for an asset’s provenance, then (like the title search mentioned above) the impeachability of an asset is not a trust issue. But this rarely happens–in fact, the property example given above isn’t representative of most asset registrations because a fixed structure (and the land it sits on) is immovable and hence always under the jurisdiction of a local authority. In reality, most assets are (in some way) movable and hence can be transferred from one jurisdiction to another. So even when there is in principle an overarching, primal authority (such as a Department of Motor Vehicles), this authority is often limited in geographic scope (a motor vehicle’s registration may be limited to provincial or national boundaries). By contrast, for digital assets, such as domain names, the Internet is already leveraged to provide a truly global scope using a central authority–but as this requires a single source of trust, it is open to the standard critiques of transparency, monopoly power, etc. that are used to propose blockchain as a qualitatively preferred approach in the first place. There is a clear advantage to using blockchain technology to track provenance,2 and hence insure that an asset is unimpeachable. Blockchain is decentralized, so that the provenance is almost surely incorruptible, and is globally available (if the blockchain is public) via the Internet. Moreover, blockchain allows for asset transfer to take place independently of a primal authority, once its data has been successfully registered the first time. Parties may contract for and exchange an asset (either on- or off-blockchain) and indicate this exchange by updating the ownership registration via a blockchain transaction. The blockchain thus naturally fulfils its role as a public ledger of both the registration state and the provenance of the asset. In the last post we’ll examine the final step, which is the actual registration of the asset, and examine what challenges may exist that can be mitigated through proper identification of trust pathways during the registration process. “Know Your Meme: All Your Base Are Belong To Us“, accessed December 2017. “The Diamond Industry Is Obsessed With The Blockchain“, Fortune.com, 12 September 2017.